Even though they’re learning the ins and outs of tech and business building while classes are out, Chicago students have had anything but a summer school experience at 1871 this summer. We welcomed students from both Rêve Academy and CoderSpace for a pair of innovative programs aimed at increasing opportunities in tech for young students and positively impacting communities. 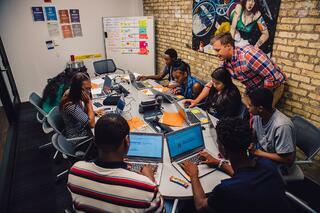 Local Director Dan Moret and Reve Academy students at 1871. 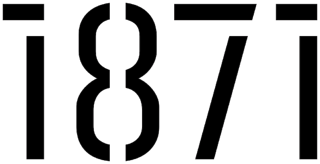 With both programs now wrapping up this week, here’s a closer look at what both organizations and their students have been up to at 1871. 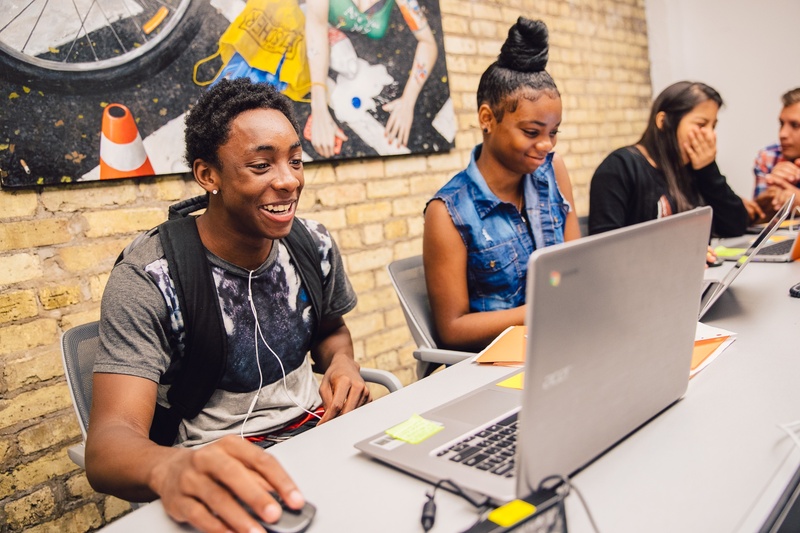 Founded in Minneapolis in 2010, Rêve Academy aims to address the growing need for tech talent, and specifically even the playing field for students of color in the technology sector. 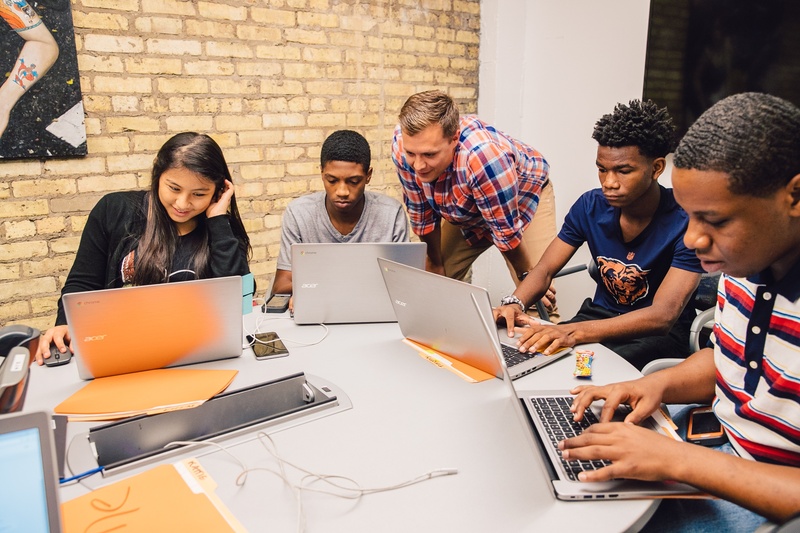 This summer, Rêve Academy hosted their first program in Chicago at 1871 led by local director Dan Moret, who welcomed 10 students as part of the “Business by Design” Reve Academy social entrepreneurship course. “We want this to feel like a job, we expect a lot out of these students,” Moret said, adding that the program comes complete with a paycheck. 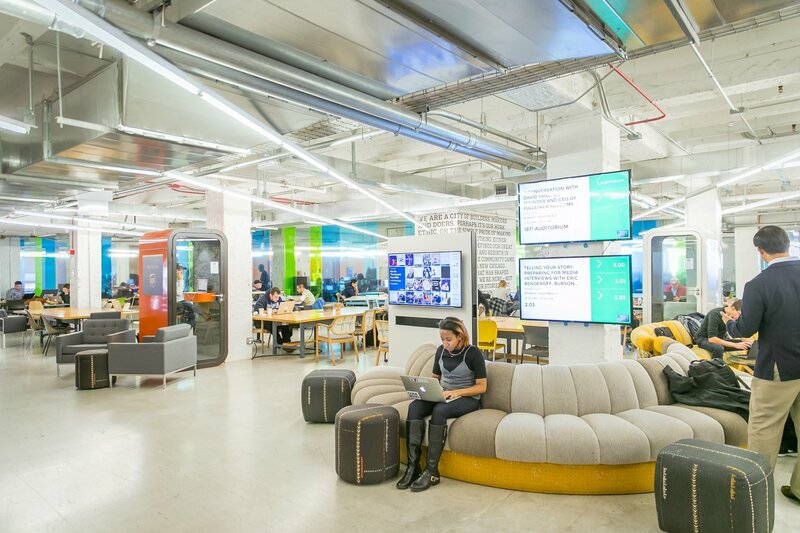 Moret said he was seeking a physical space for the program, and that he chose the “dynamic and inspiring” atmosphere of 1871 to host the first Chicago cohort of students. During the course, students are challenged to build a business that will solve a program in communities where they live. Jobortunity: A phone app which connects unemployed young people with job opportunities or extra curricular activities to keep them involved in the community. Another Chance Academy: A school-based peer-to-peer violence interruption?program where student leaders are trained and hired to help divert and interrupt small issues which often explode into large problems. Crunch Tyme: A community based shoe store that hires unemployed teens to give them first jobs and trains them for future careers. LK Window: An art gallery that showcases the work of local artists and uses the proceeds to purchase and refurbish abandoned or derelict buildings to better serve the community. Creative Changes: A community center that offers children and teenagers training, counseling and resources to tap into their creativity. 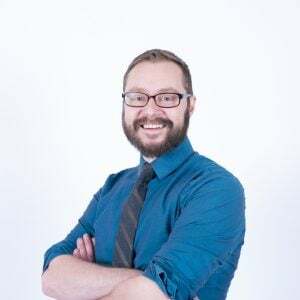 The program is an extension of a larger local effort for the organization, which is piloting its technology and business curriculum in two schools -- Amandala Charter School and Curie High School. Students from both schools had the opportunity to apply for the summer internship program, which Moret said has benefited from being at 1871, particularly because the space brings students outside the typical “summer school” environment of a traditional classroom. In addition to the skills they learned this summer, the program offers students ongoing support, in the hopes that they use leadership skills learned to start local coding and technology clubs at their schools and in their communities. Students in the program also have the opportunity to continue to refine their skills throughout the year as part of the organization’s ongoing Saturday Sessions program.